Justice For Alan Turing, 60 Years After His Death? Alan Turing was a brilliant scientist and mathematician; as a codebreaker, he was vital to England’s efforts against the Nazis during World War II, and as a research scientist, his work helped pave the way for computerized artificial intelligence that we take for granted today. But his great legacy is marred by a criminal conviction: in 1952, Turing was tried, and convicted, of indecency for engaging in homosexual acts. Even though homosexuality remains a heated topic of debate today, it’s easy to forget that homosexuality and homosexual acts were punishable crimes very recently. (Indeed, in many countries, it remains illegal.) In England, homosexuality between men was essentially made illegal in 1885, when statutes against homosexual acts were included in a new set of laws passed under the Criminal Law Amendment Act. These laws remained in effect until 1967. It was during this time that Alan Turing lived. The British government has also issued numerous honors and reminders of Turing’s legacy, including a street named after him in the city of Manchester, and a commemorative stamp issued by the Royal Mail in 2012, the centenary of Turing’s birth. Turing has also been recognized and praised for his work by UK Government Communications Headquarters (GCHQ) for contributions to the fields of code breaking and computer science. Still, these honors aren’t enough for the scientists demanding Turing’s pardon; they find it unacceptable that the legacy of such an important scientist and national hero is tarnished by a criminal conviction, especially since the crime he was convicted of is no longer illegal. So far the government has not responded to this new request from the scientists. The previous call for a pardon was rejected on the basis that Turing’s conviction was legitimate and in keeping with the laws of the time, which Turing knowingly violated. As that response was just made in February 2012, it seems unlikely that the government will respond differently less than a year later. Regardless of whether or not Turing is issued a pardon, the controversy does have the positive effect of bringing publicity and attention to Turing, one of the 20th century’s most important scientific thinkers, who was integral in shaping the world as it is today. Indeed, this debate shows just how relevant Turing continues to be, and how his influence continues to be shape the future. 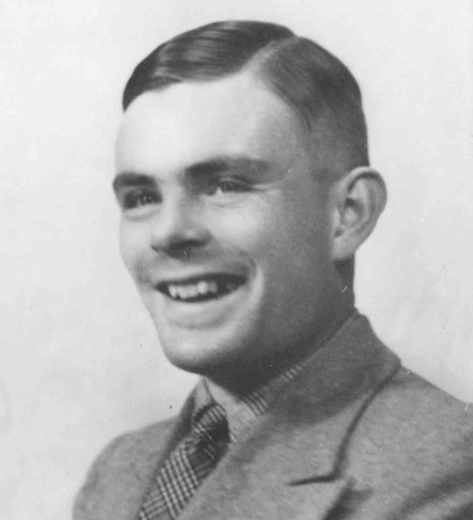 UPDATE (July 22, 2013)- Turing will be pardoned by the British government. To learn more about Alan Turing, his interesting life, and his contributions to science and mathematics, check out Profiles in Mathematics: Alan Turing by Jim Corrigan (ISBN 978-1-59935-064-6) from your local library, or purchase it from Morgan Reynolds Publishing.